Music Festival | The Art Dept. 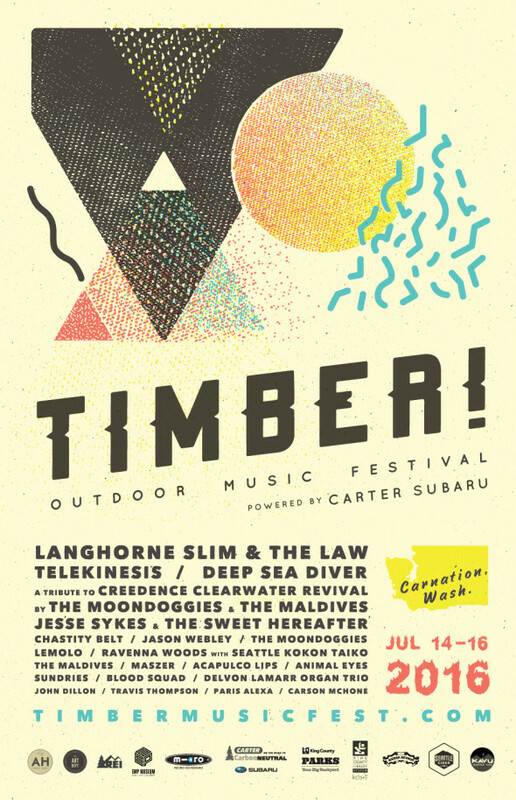 I’ve already cut off last year’s jeans into swimming jorts, inflated my unicorn floaty w/ beer holder, and created this breezy poster art…SO ready for TIMBER! Outdoor Music Festival 2019! 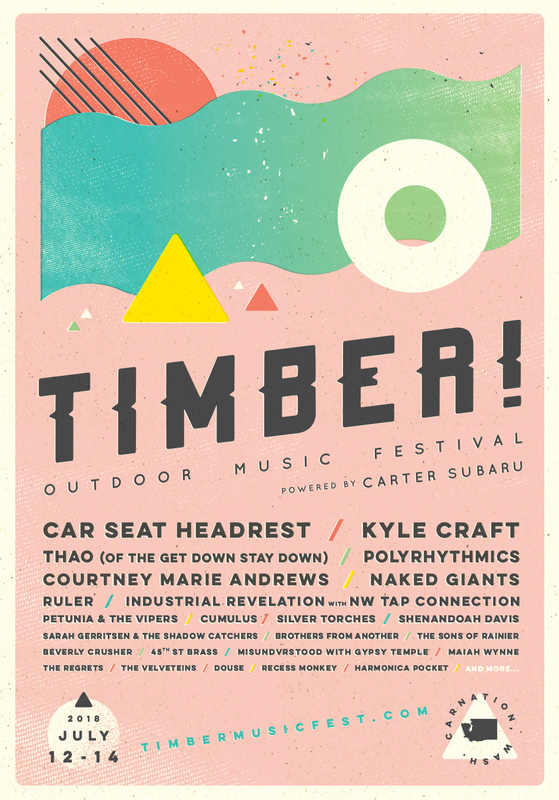 Summer’s around the corner—can you feel it in this poster art I created for TIMBER! Outdoor Music Festival 2019? 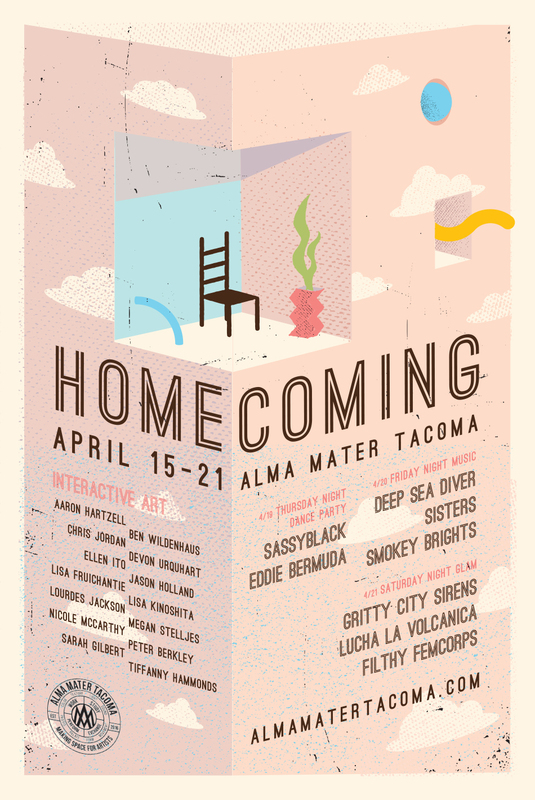 I’m particularly proud to be involved with the wonderful team behind Alma Mater Tacoma—they are creating something that will become a ladder at the center of Tacoma’s brilliant creative arts scene. I had the opportunity to create the poster art as well as the honor of contributing an audio/video art installation to the group show. Come to the new creative HOMECOMING and experience some interactive art and dance the nights away with us! 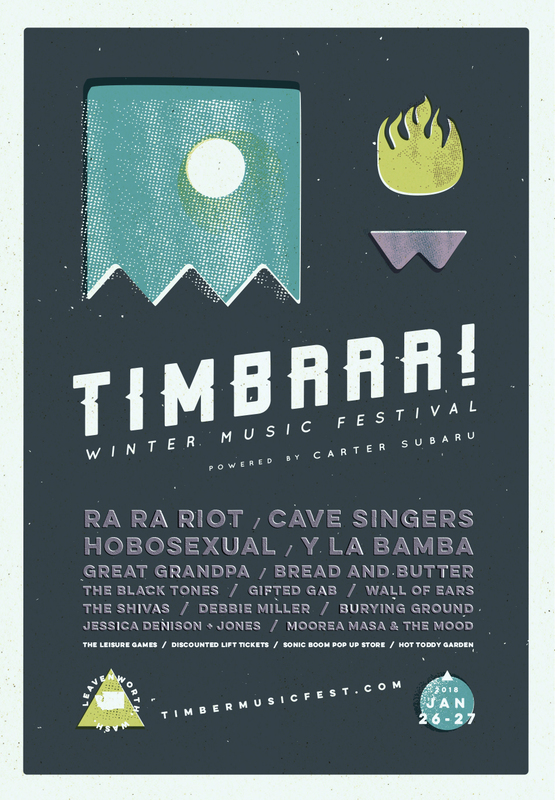 Here it is—the poster art we created for the next annual TIMBRRR! 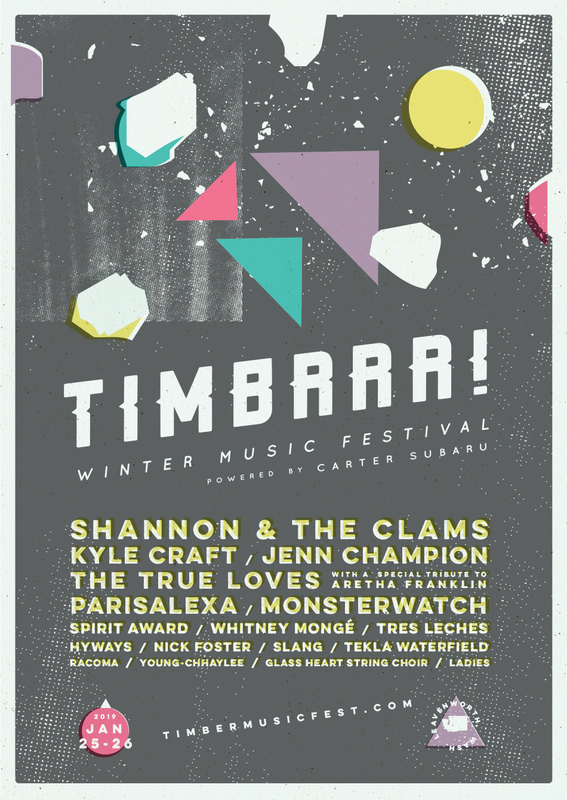 Winter Music Festival…we haven’t seen Ra Ra Riot since we saw them play in a winery barn in Sonoma—can’t wait! 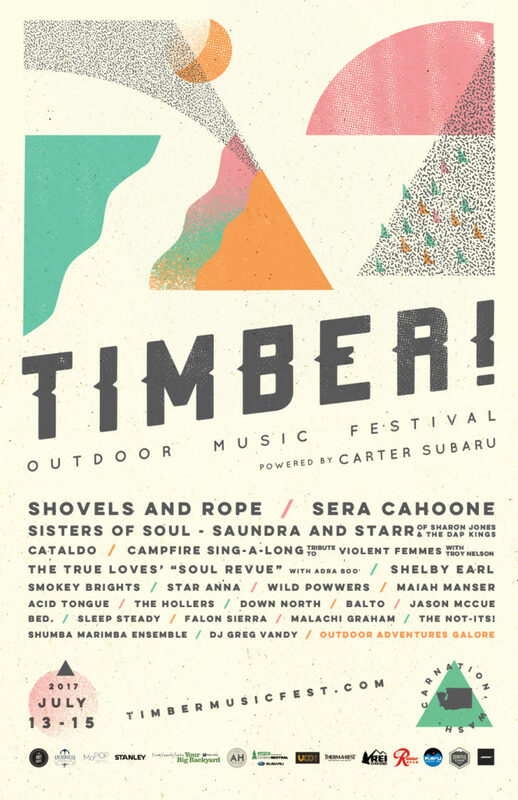 It’s that time of year again—sun, river, forest, and lots of face-melting pop, soul, and rock…here’s this year’s poster art we created for TIMBER! Outdoor Music Festival! The good folks behind Tacoma, WA’s Squeak & Squawk music festival are hosting a fundraiser show (featuring Widowspeak!) for which they asked me to design graphic art to be printed on shirts and posters as part of the initiative. Can you find the two S’s? The two Q’s? 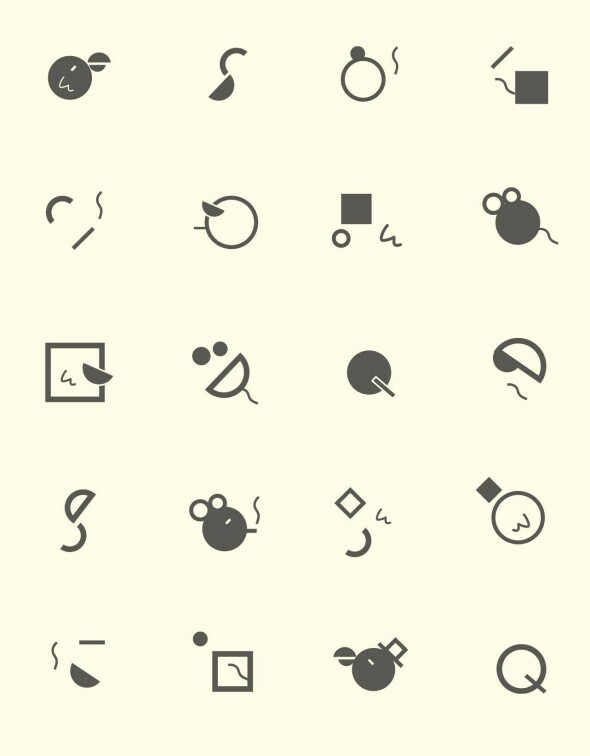 How about the two mice and the two birds? What else do you see…? 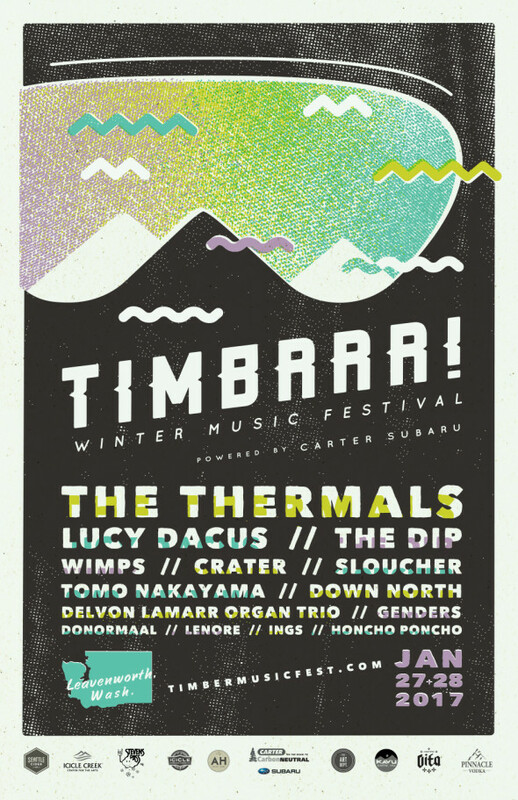 This is a pretty tight lineup for the 4th annual TIMBRRR! Winter Music Festival in Leavenworth, WA—hope our chill poster art does the firecracker bands some justice! 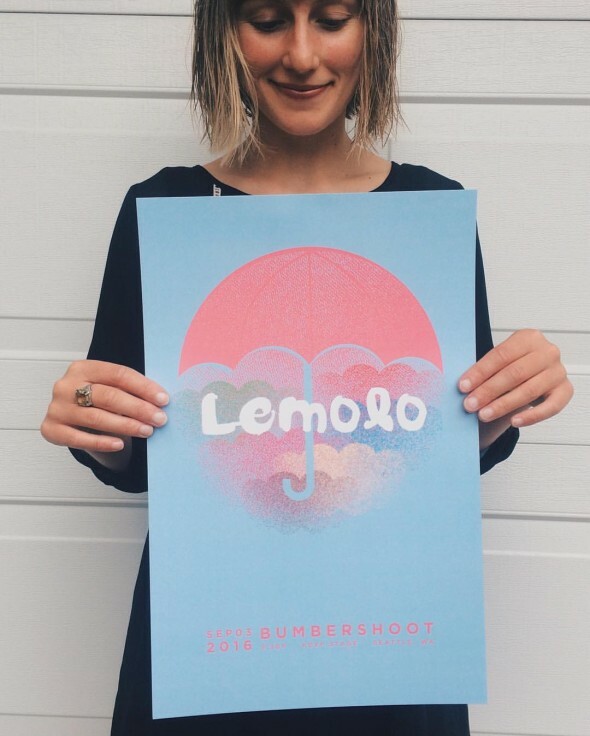 Thank you to our friends in Lemolo for commissioning us to do this poster for their upcoming set at Bumbershoot! 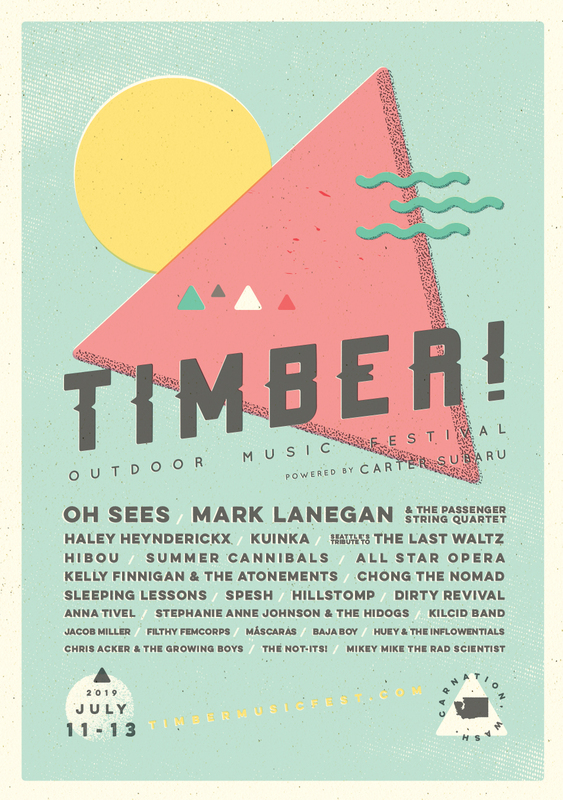 Once again, we had the opportunity to create the artwork and design for this year’s TIMBER! Outdoor Music Festival—see you there? © Copyright 2019 The Art Dept.